You are here: Home / Recipes / Dessert / Easy Fudge Pie Recipe! 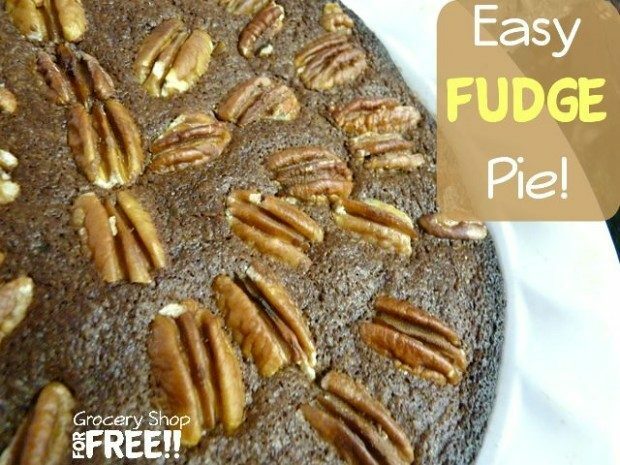 Susan is back with her Easy Fudge Pie Recipe! I thought I would do a gooey dessert this week. 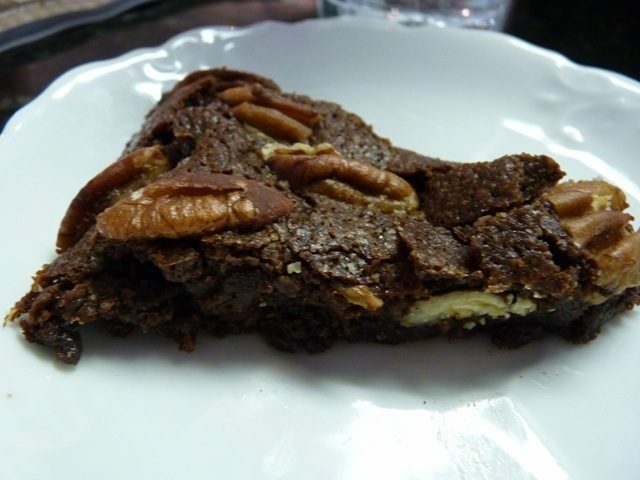 So, I made some delicious Fudge Pie…..better known as gooey, fudgy brownies. 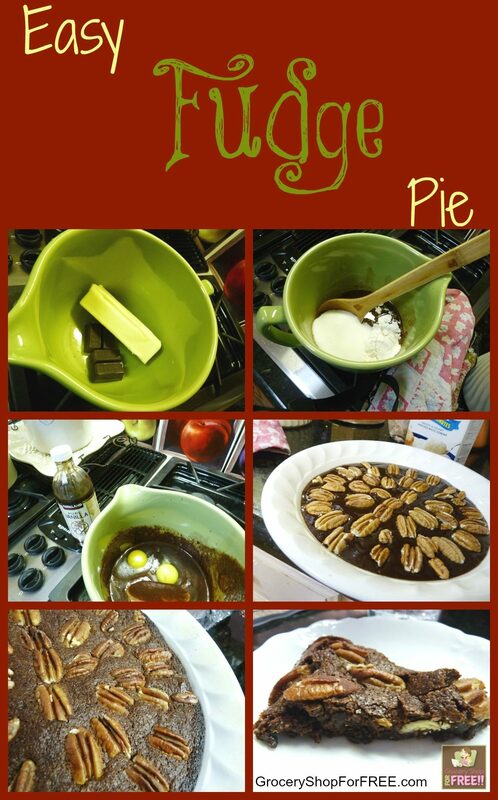 My friend Mrs. Hart gave me this recipe and it is thankfully easy as fudge pie and it makes it’s own crust. 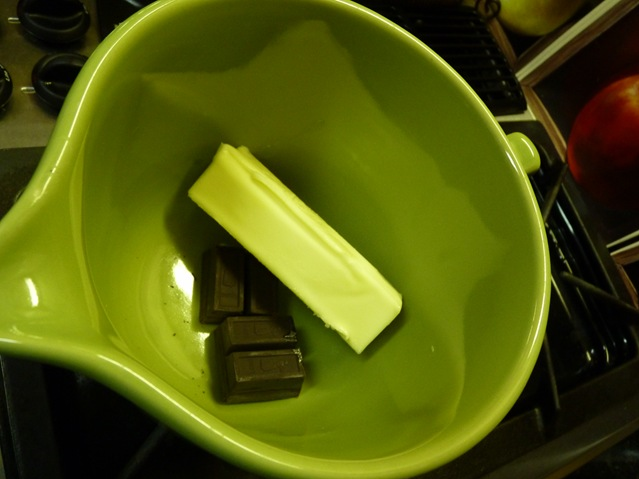 Place chocolate and butter in a microwave bowl and heat on high for 1 minute. Stir and let it sit for about a minute and heat another 30 seconds more. Let this sit until the chocolate melts completely. 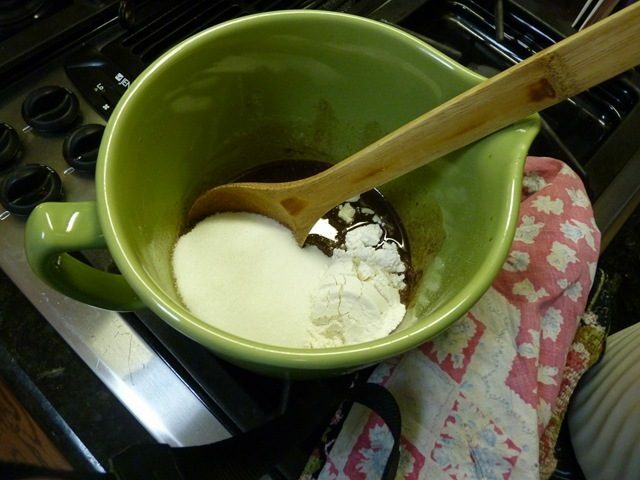 Add sugar, flour, eggs, vanilla and salt. Stir until well combined. Pour into lightly oiled 9 inch pie pan. 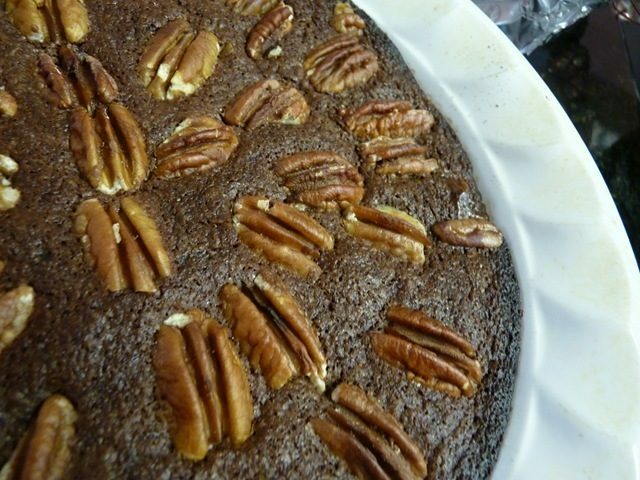 Dot the top with pecan halves. Or if you would prefer to chop them and put them inside, that would be good too. 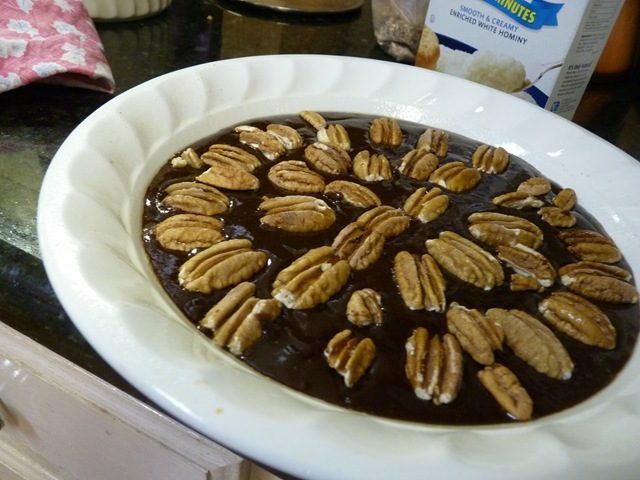 The original recipe had no pecans…..so….whatever. I live in a Pecan Orchard…..so everything has pecans. Bake for 25 minutes. 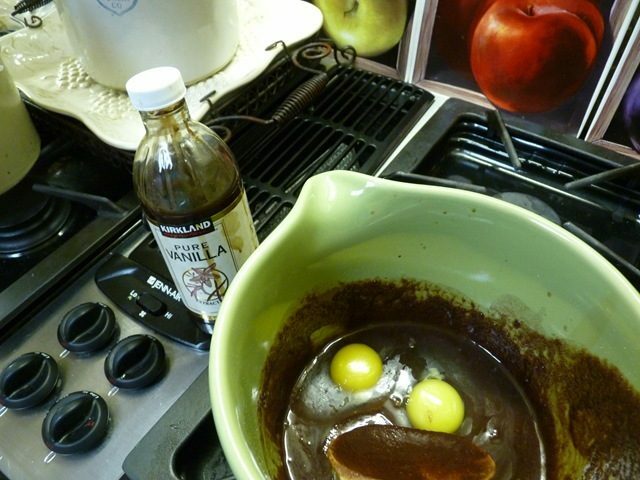 Serve with a scoop of vanilla ice cream….preferably…..Blue Bell Homemade Vanilla or Vanilla Bean. Yum!